Fabricate a wearable art piece! 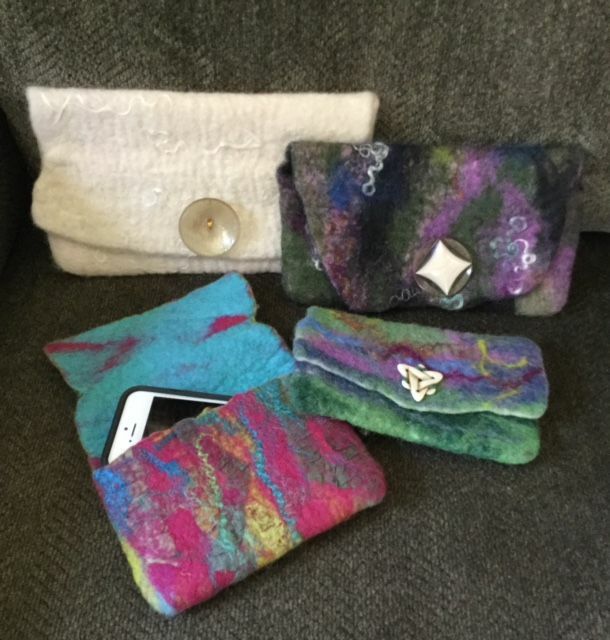 Form of purse will be approximately 12″ wide by 14″ tall. We will choose our top quality colors of Corriedale and Romney fibers, as well as silk and mohair to construct our one-of-a-kind work of art. This class is suitable for teens as well as adults!